Looking for landscape gardening in Newbury? Whilst owning a piece of land can be rewarding in many senses, keeping it up to high standards can be a struggle. Large or small, landscaping can be a long job that takes up many hours of the day. If you're finding it hard to keep up appearances, investing in a landscape gardener can make all the difference. Here at Nightingale Ground Care, we love nothing more than tending to landscapes both small and large. We have a keen eye for detail and know what it takes to make a landscape look stunning. 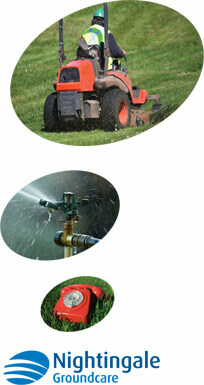 The team here withhold the right qualifications and skills needed to correctly maintain any landscape. Whether you need help with picking up litter, trimming the hedges or cutting the grass, we can provide affordable and flexible solutions. If you would like to take full advantage of our landscape gardening services, we are keen to hear from you. You can reach the team by calling us on 01794 323606 or fill out the contact form on our website, and we will respond promptly. We look forward to hearing from you.